DURING THE LAST CANNES FILM FESTIVAL, A HELICOPTER TRANSFER SERVICE WAS PROPOSED TO THE PUBLIC BETWEEN THE NICE AIRPORT AND THE CROISETTE IN CANNES. THE SERVICE, CALLED UBERCOPTER, DIDN’T RUN THE RISK OF NOT FINDING ENOUGH CUSTOMERS. 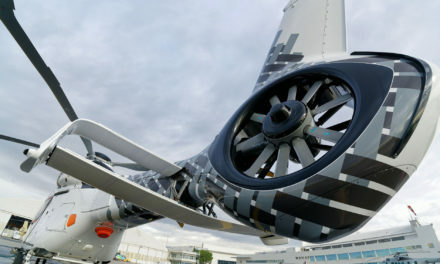 NEVERTHELESS, IN ORDER FOR THE FORMULA TO HAVE A FUTURE, AIRCRAFT MANUFACTURERS, LEGISLATORS AND DEVELOPERS STILL HAVE SEVERAL STEPS TO BE COMPLETED. On the occasion of the most recent Cannes Film Festival, between May 8th and 19th of this year, a formula that festival-goers have already known was renewed, and this for the fourth consecutive year: the transfer by helicopter for celebrities (or other participants) between the airport in Nice and the Croisette in Cannes, via an Uber application accessible from a smartphone. 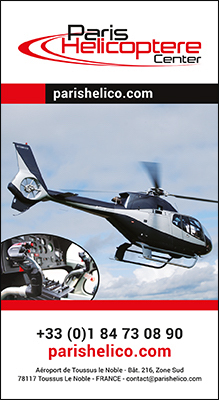 Dubbed “Ubercopter” for the occasion, the service is operating by the provider chosen by Uber (the company Azur helicopters) until October 15th, 2018. The positive feedback spread during the Festival: the time saving compared to taking the road between Nice and Cannes in peak period, of course, not to mention the comfort of flying and the rather flattering image of the passengers arriving by helicopter. 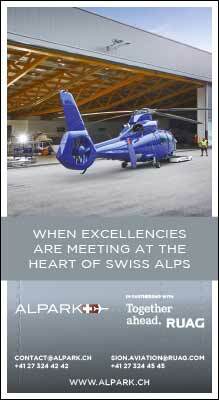 The idea, which consists of proposing a quick reservation for a seat aboard a helicopter, is certainly not new. 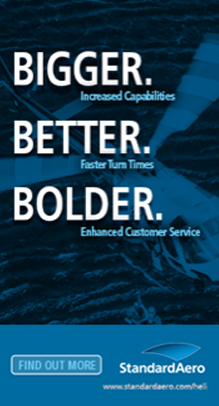 We remember the services proposed, in particular, by Book my Helo (Helicopter Industry #84) or by Helipass.com (Helicopter Industry N 89). Except that the principle applied by Uber differs a little from both of these services. Indeed, in the case of the Ubercopter experience in Cannes, it is not a question of proposing a visit for tourism, nor to incite the customer to reserve a seat aboard a helicopter to go to any place that is available and/or proposed in advance by the transportation operator. The purpose is, on the other hand, to optimize the profitability of each flight (in other words, to fill as many seats as possible on each flight made available to the public) on the axis Nice-Cannes-Nice on the occasion of a special event, since a single price was proposed to the passenger, that is 160 € per person and per flight leg, and since the number of spaces were limited to six passengers at most per trip. From the point of view of naming the service after Uber, further explanation is necessary. 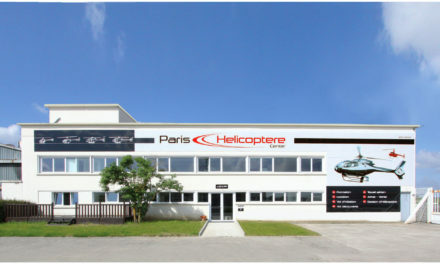 “Ubercopter is anything but the duplication of the formula Uber uses for the automobile”, warns Dominique Orbec on this matter, president of the French Helicopter Union (UFH), the trade association uniting the set of the professions and trades for the civil helicopter sector in France. Indeed, a wide regulatory gap differentiates a motorist (not a transport professional) susceptible to be recognized as a driver by Uber and the operator of a helicopter authorized to transport the public in full compliance with the regulations. The reason for Uber’s existence – to propose a means of transportation with a minimum delay relying on selected individual partners and a successful software tool – does not therefore make it a transportation professional, but an effective intermediary. As a service provider, Uber naturally must deal with its environment. 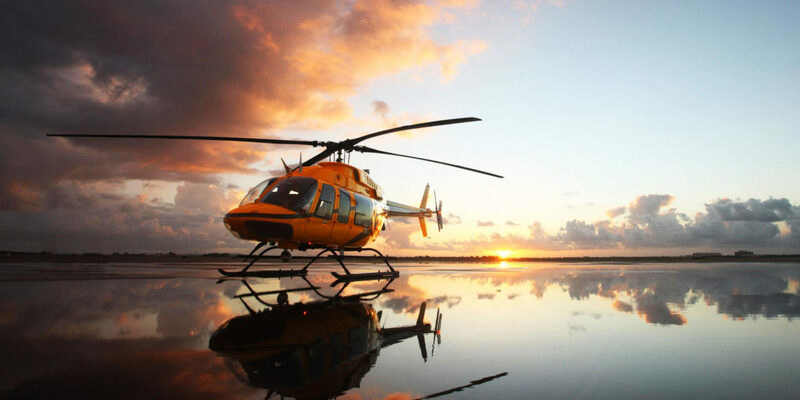 In the case of transportation by helicopter, undoubtedly by repeating the experience, operating within the structure of the Cannes film festival since 2015, has allowed the procedures to be improved, both for Ubercopter and for the operator. But if Uber and the vertical take-off and landing aircraft operators hope to extend beyond the stage of providing a service for a specific event (and temporary by nature), two steps will still have to be crossed in the next ten years. « The first one is still in the early stages. 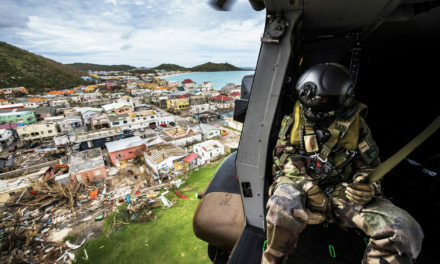 It is the goal of setting up aerial means (conventional helicopters), including the pilot, and a successful reservation platform, all for temporary use. 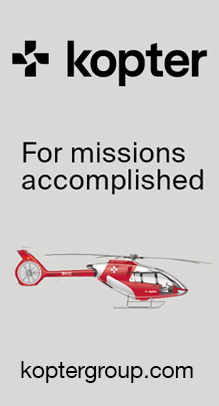 The second step goes back to the concept of urban mobility based on different aerial means – machines with electric propulsion for two to four occupants, with a pilot at first, then without pilot but radio-controlled, and finally completely self-flying in the long-term. This last solution is pleasant, promising, but will doubtlessly be limited to zones with high population density, where a large pool of customers will assure the economic viability of the system, even more so if it wants to be free from counting on specific events like festivals, international fairs or Grand Prix motor racing, etc. », summarizes the president of the UFH. 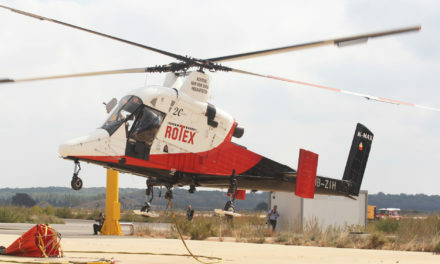 « Some of the necessary tools to achieve this goal exist already, such as the immediate geolocation of the customer and the possibility to book the service with a short delay.On the other hand, we do not imagine an owner of a helicopter “uberizing” its aircraft one day, assigning it to a working mission the next day and then putting it in the back of a hanger on the third day because he has something else to do.» Thus the idea was born that a fleet should be assigned only to short distance transportation missions, as was done by a federation of aerial transport, as agreed by several operators. UBERAIR : OPERATIONAL IN 2023 ? However, if such a fleet must wait to be created, another solution could fill in the role: an intermediary specialized in proposing and managing reservations. 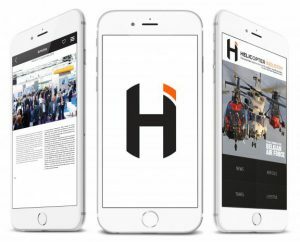 Frédéric Aguettant, founder and president of Helipass.com : « In Cannes, Helipass. 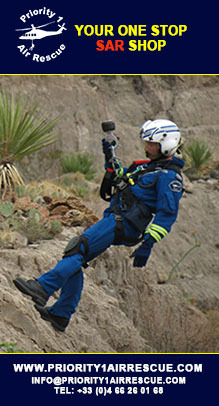 com invented the concept of Ubercopter. In 2015, we met the people in charge of Uber in Paris. Our idea was well-received. 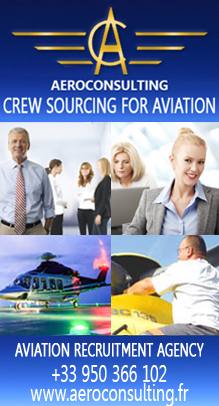 At that time, Azur Helicopters was the direct contact with Uber – our role as an intermediary did not seem necessary. The fact remains that the number of passengers had quadrupled between Nice and Cannes during the Festival that year, compared to 2014. The proof had therefore been found that the principle is viable. » However, the problem with sustaining such a service beyond specific events remains.